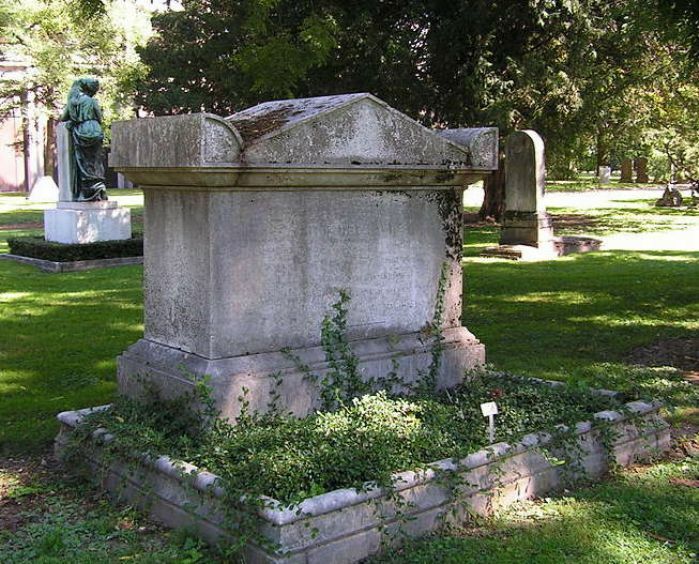 Sir Humphrey Davy, one of Cornwall’s best-known sons died not in Cornwall nor even in England but in Geneva in Switzerland. Sir Humphrey made his name in the field of science before he was thirty. When he was only 19 he went to Bristol where he discovered nitrous oxide (laughing gas). This brought him to the attention of the Scientific establishment and in 1801 he was appointed a lecturer in Chemistry at the Royal Society. His lectures were soon a draw for the fashionable elite of London and he was made a Fellow in 1803. He continued his research and experiments and in 1807 by the use of electrolysis isolated the elements of potassium, sodium followed in 1808 by calcium, strontium, barium and magnesium. Knighted in 1812 he had now a European reputation and despite the war with France he travelled to France to be awarded a medal by Napoleon. 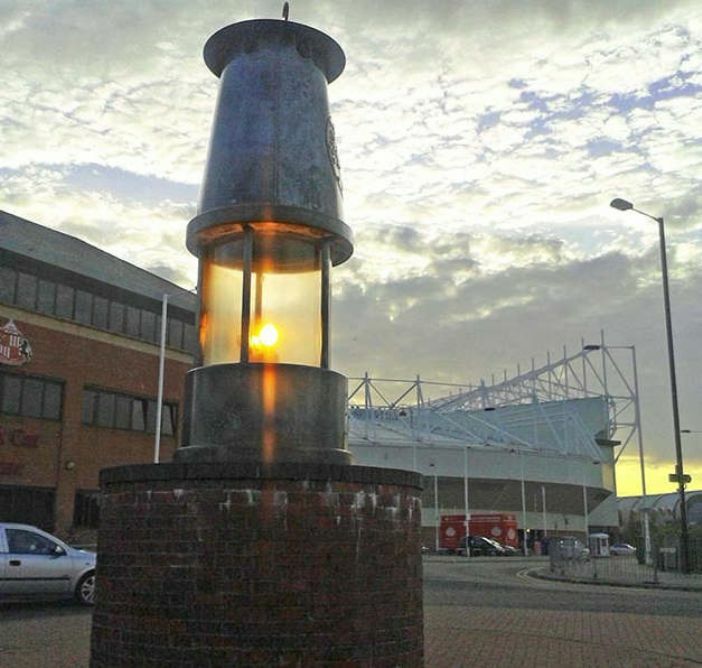 His gift to the miners was the development of the Miners Safety Lamp (known as the Davy Lamp) which separated the inflammable gases in the mines from the flame in the lamp, thus saving innumerable lives. He refused to patent the invention so that it could be widely available. His last major piece of work was less successful – suggesting installing bands of either zinc or iron to the copper sheathed wooden hulls of the Admiralty ships. These bands were intended to prevent the copper from corroding but it was not realised that it was the corrosion process which rendered the copper poisonous to barnacles and seaweed. So protecting the copper also protected the barnacles and seaweed and inadvertently encouraged their growth on the hulls, slowing the ships. He was made a baronet in 1818 and was President of the Royal Society from 1820 to 1827. In his later years Sir Humphrey travelled widely and it was on a visit to Switzerland that he died of a stroke, in Geneva, on 29th May 1829. 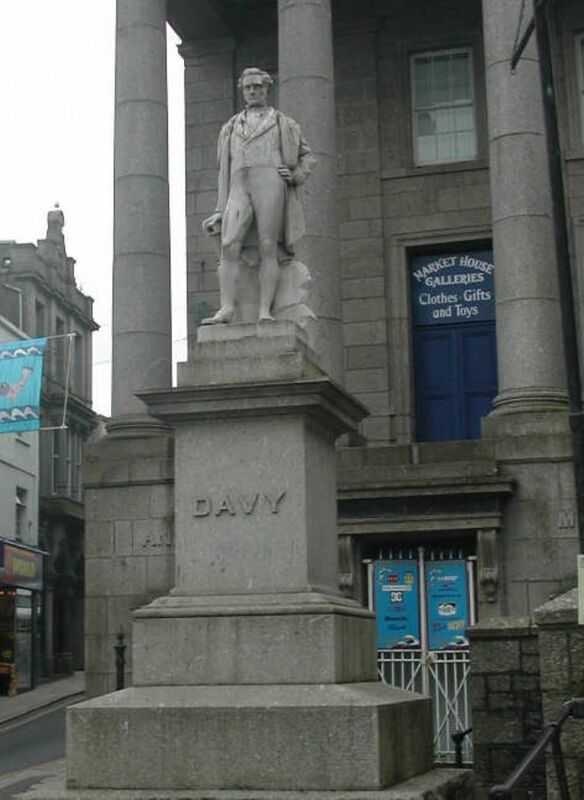 His grave is in Geneva but he is commemorated in Westminster Abbey and of course by his statue at the top of Market Jew Street in Penzance.